Book Blitz month is coming to an end, but not before I have a chance to share one last fantastic book with you! 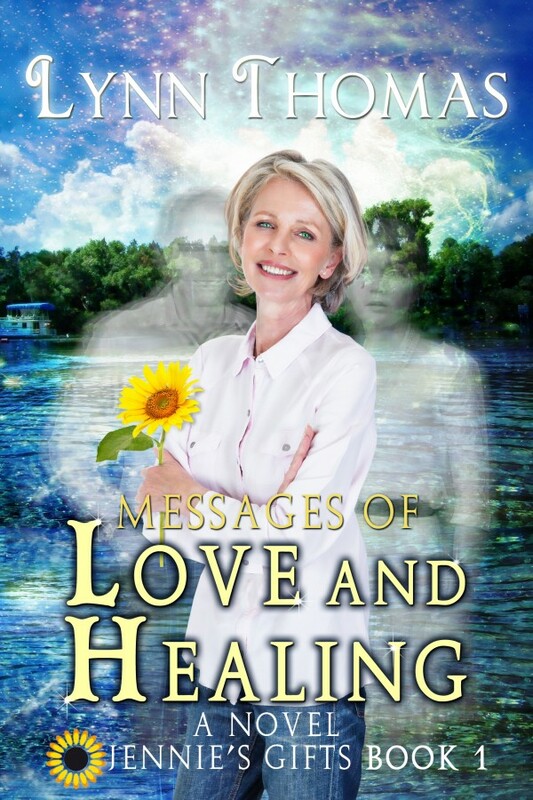 Messages of Love and Healing: A Novel by Lynn Thomas is just right for all you paranormal romance fans out there! It’s the first book in the Jennie’s Gift series. Jennie Malone always denied her supernatural abilities and kept them hidden from fear of what others would think. But she grew tired of letting other people’s opinions rule her life, and is determined to reclaim her true self. And her first step of liberation was becoming a professional medium. Her second step was opening her store, where she delivers messages of love and healing to her expanding clientele. She has found it rewarding to tap into the spiritual realms to console, inspire and assist her clients. But all is not well. Having paranormal Gifts has not eliminated having personal challenges. And just because she’s seen the light, doesn’t mean her daughter and ex-husband ever will. What will it take for them to realize the value of what she does? And then there’s Jake. The man is magnetic, and makes her feel as she never did with her ex. But she doesn’t have time for a relationship, does she? And romance isn’t possible at this stage of her life, is it? But when tragedy strikes, it turns Jennie’s world upside down. Will her life ever be the same? A visionary, inspiring and transcendental journey of spirit, romance and self-actualization. Be like the fly on the wall as the professional medium Jennie Malone faces challenges and meets interesting characters on both sides of the veil. Grab a free Preview here! Lynn Thomas discovered her passion for writing in childhood while creating songs, poems and stories with her mother and grandmother. This nationally published and award winning author writes on a variety of topics, but most enjoys creating inspirational entertainment for her readers.